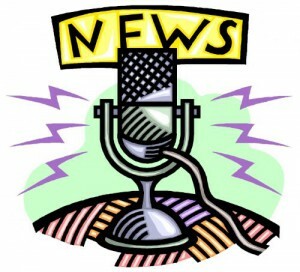 Interested in becoming a member of the VRA Morning News production team? Eligible students (fifth-eighth graders only) should print and fill out the application below (click on the news icon). Applications will also be available in the Media Center. Return to Mrs. Zielinski in the Media Center no later than Friday, August 18, 2018. The mission of the VRA media center is to create a student-centered library media center, which provides a safe, nurturing environment in which students can seek information and ideas for their educational, informational, and recreational needs. If you lose or damage a book, you are responsible for the cost or replacement of that item. Students in Grades 3-8 are encouraged to take part in the Sunshine State Young Readers Award program! Quizzes are available for each book in the Media Center. Once a student completes a quiz, they will earn a brag tag for the book. Read 3: Vote for your favorite at the end of the year. Read 10: Eligible for Battle of the Books Read 15: Vote, participate in Battle of the Books, and receive a prize bag!